Established in 1964, Kerr's is a Wholesale Drapery Workroom. We provide custom soft window treatments to Interior Designers & Decorators. We make Beautiful, Custom Draperies, Roman Shades, Valances, Cornices, Swags & Scarfs that fit your windows PERFECTLY! We also sell Retail Blinds, Shades & Shutters. We at Budget Blinds Serving Missoula and surrounding areas have proudly served the local community by offering high quality and stylish window coverings for any occasion since 2004. 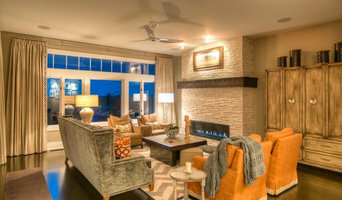 Our goal is simple: to provide you with the best products and services in order to enrich your home environment. Our lavish selection of window treatments includes shutters, blinds, draperies, shades and even window film. Regardless of the window’s size or shape, you can rest assured Budget Blinds Serving Missoula and surrounding areas will have a customized window coverings solution ready for you. Call us today to schedule your free in-home consultation. We’ll bring you the highest quality and most fashionable window coverings in Missoula and surrounding areas and surrounding areas. Looking forward to helping you beautify your home! Cozy Curtains was established in January 1986 in Missoula, Montana. 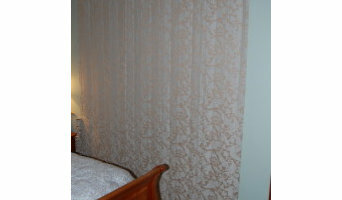 The business has made hundreds of insulated curtains and shades for customers all over the United States. The company also ships internationally. 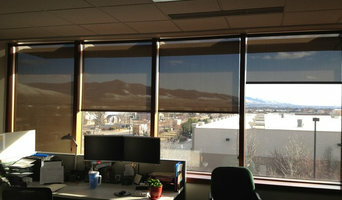 Cozy Curtains manufactures the Warm Window® Magnetic Sealing System. 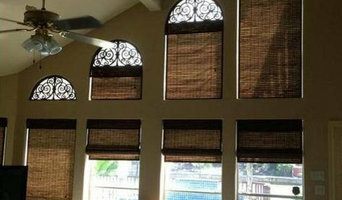 Our custom window treatments are insulated and energy efficient. In fact, the Warm Window system has a R-factor of 8.69 on a double pane window. Your home stays warm in the winter and cool in the summer — and cost-effectively, too! The product is available as a roman shade, hobbled shade, balloon shade, and drapery draw to the side. Cozy Curtains uses beautiful decorator fabrics of the customer choice to make a decorative, energy efficient window covering. If you prefer, Cozy Curtains can also manufacture the shades with the customer’s own decorative cover fabric. All shades come with easy-to-follow installation instructions and all necessary hardware. See our customer testimonials page for a glimpse of why Cozy Curtains has been in business for more than 25 years! The space you live and work in shapes your daily routines. You walk into a room and flip on a light switch. You pick up a phone to make a call. You adjust the window shades or the heat or the radio. A million little actions to make your surroundings more comfortable. Imagine if you could control it all from one spot. Or better yet, set it all to automatically adjust to your preferences. Acoustic Vision specializes in bringing the space around you completely under your control. From the living room to the board room, the professionals at Acoustic Vision can work with you to design as simple or as complete a system as you need in your space. Set your lights on a timer, or set your lights, thermostat, and window shades to adjust based on the time of day or your activity. We help you design your ideal system, we install it, and we teach you how to use it. BlindSide Window Coverings is your window coverings specialist. We come to your home and show you the many available options for window coverings. Whether you are looking for hard window treatments such as shutters or wood blinds, or soft treatments like honeycomb shades or draperies, or retractable awnings, and solar shades for your outdoor spaces, we have you covered!